Bingo is a game that appeals to everybody, from grade school children learning math lessons to grandparents socializing with a little gambling on the side. 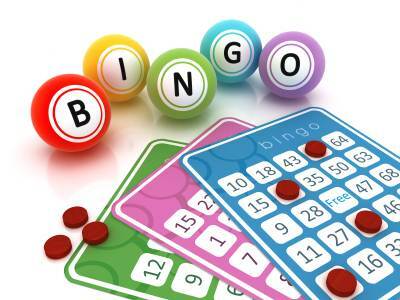 The beauty of bingo comes from the anticipation that builds as the game progresses. Everybody with a bingo card in play has a chance to win a jackpot, and as each number is called out you can’t help but feel a rush when you notice four of the five squares you need have been stamped. Learning how to play bingo takes just a few minutes, but due to the random nature of the game’s mechanics, every time you play provides a unique experience. And even though bingo is a game of chance, you can take advantage of a few simple strategy tips to turn a few bucks into big wins on a more consistent basis. If you’re the type of person who prefers a more casual entry point into the world of casino gaming, you really can’t beat the bingo hall. The game of choice for gamblers in the know, blackjack has long been preferred by those looking to level the playing field against the house. With a house edge of just 3 percent even when you play poorly, blackjack is one of the best bets on the casino floor, but the real draw comes from learning how to play the game at a high level. Learning basic blackjack strategy is a sound long term investment for fans of casino gaming, because once you’ve committed the guidelines and rules to memory, you’ll lower the house edge to an unheard of figure of less than 1 percent. This means you’ll essentially be faced with even money odds against the casino, and when you consider that other games offer house edges in excess of 15 percent, the reason for blackjack’s overwhelming popularity becomes quite clear. Played more often than any other card game on the planet, blackjack is the classic combination of skill and strategy with a little old fashioned luck. Whenever a first time visitor to a casino hits the gaming floor, their attention is invariably drawn to one place: the craps table. Ringed with excited players yelling loudly for the right number to roll, patrolled by a four person staff of employees, and stacked with chips wagered on every manner of bet, a craps table epitomizes casino action. Despite the game’s immense appeal though, plenty of people pass up the opportunity to try craps, passing by the table and watching from afar rather than diving right in. Given the size of a craps game and the typically raucous scene surrounding it, this hesitation is only natural, but in reality learning how to play craps is quite easy. And for a game with so much action involved, you’ll be pleasantly surprised to learn that a simple strategy based on sticking to the basic bets actually makes craps one of the best values in any casino. If you enjoy social games offering an extremely low house edge, along with an interactive element that provides constant entertainment, craps could just be the perfect game for you. Roulette distills the essence of gambling down into an elegant system. At the most basic level of play, roulette demands nothing more than a simple choice: red or black. A roulette wheel is divided into 36 spaces, with 18 red and 18 black, creating what would be a 50/50 proposition. By including the green 0 and 00 spaces, however, roulette neatly illustrates the concept of the house edge. Of course, once you learn how to play roulette you’ll discover the game’s assortment of alternative inside and outside bets. 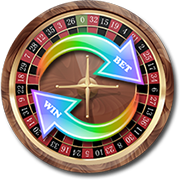 From the classic single-number wager that rewards winners with a huge 35 to 1 payout, to more creative bets like corners and columns, roulette can be much more than a basic binary choice between red and black. While roulette can never offer players much value in terms of odds against, spinning the wheel once or twice during your trip to the casino can’t hurt. And on those rare occasions when the ball lands on your lucky number, the thrill alone will be well worth a few fruitless sessions over the long run. Slot machines are a quintessentially American enterprise, promising the potential for a huge payday one quarter at a time. Earning a reputation as one armed bandits – due to their distinctive pull bar lever and a tendency to part player’s from their money – slot machines are the building blocks that form the foundation for every casino. With thousands of designs and themes, along with a never-ending stream of new game variants to choose from, slot machines offer casual gamblers the perfect outlet for personalized play. Learning how to play slots only takes a few minutes, but after that the game can provide hours of inexpensive entertainment. Of course, the game contains a big built in house edge, but a few strategy tips can help you reduce losses over the long run, while giving you a better chance to maximize your windfall when the reels finally do line up perfectly for a jackpot. 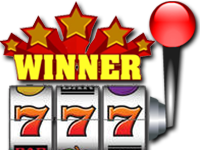 Slot players usually enjoy the most generous rewards programs and comp packages in the house, so even when you have a losing session, the casino’s freebies find a way of balancing things out. When inventor Si Redd had the bright idea to combine two of the most popular casino games – poker and slots – his creation went on to revolutionize the world of gaming. Video poker provides a nearly perfect combination of poker and slots, offering players instant gratification in the form of touchscreens and single-draw rounds, along with the crucial element of strategic skill. Designed for players who prefer more control over the outcome, learning how to play video poker is a two-step process. First and foremost are the rules the game, but perhaps more important are the strategy guidelines detailing optimal video poker play. Similar to blackjack, video poker decisions can be broken down and assessed mathematically, so by sticking to the most correct play in any given situation, players can significantly reduce the house edge. Combined with the tantalizing prospect of a huge 4,000 to 1 jackpot payout for making a Royal Flush, video poker alternates between the slow grind of making correct decisions and the undeniable rush of hitting a big hand. The game of choice for suave gamblers of the silver screen, baccarat has developed a reputation as a complex game fit for the high-roller crowd. In actuality, baccarat is one of the most basic casino games, offering players a simple choice: which one of two hands will wind up closest to 9, using either two or three cards. Of course, there’s a little more to learning how to play baccarat, but the game always boils down to this decision between the banker and the player hands. By sticking to the safe bets, you can enjoy a pleasant time at the baccarat table, riding through the swings of a random shuffle and sweating the action alongside a few new friends. Keno is a classic lottery style game that rewards players for beating the odds and matching their selections to a randomized number draw. Although the relatively high house edge, along with the random nature of the game, makes playing keno regularly a losing proposition, you can still take an inexpensive shot at a big payout from time to time. Players love keno precisely for this fact: you can turn a single dollar into a few thousand just by choosing the right numbers at the right time. Learning how to play keno might seem like an easy endeavor, as all you’re doing is picking numbers and hoping they hit. 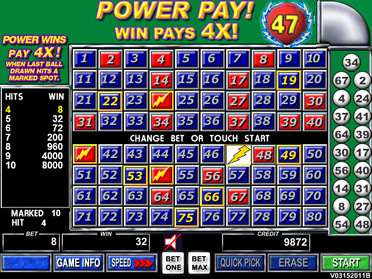 Keno is definitely not a skill based game, but for a few bucks the game provides players with a surprising amount of action and sweat, thanks to the omnipresent video screens displaying the results of the latest draw. Combining elements of five card stud poker and blackjack, Let It Ride is a classic example of the hybrid table games introduced and popularized during the 1990s. Relying on the hand hierarchy of poker, along with the player vs. dealer dynamic of blackjack, Let It Ride is a fun game with an interesting twist. Using a three bet system, Let It Ride allows players to remove one third of their total wager or let it ride, and this option comes after seeing the first three cards of your hand, as well as a fourth community card. Learning how to play Let It Ride is easy, but playing the game correctly requires making the correct decision given each situation you’ll face. The optimal strategy behind Let It Ride consists of certain rules dictating when you should withdraw a portion of your bet, based on your current hand strength. Playing optimal strategy in Let It Ride is a must, because this drops the house edge from a very steep 5-20 percent down to a more manageable 3 percent. One of the more mysterious games found on the casino floor is Pai Gow, a Chinese tile game that incorporates aspects of baccarat. A favorite for players with Asian roots, both in America and abroad, Pai Gow is a complex game requiring skill and strategy to beat the house. Although a player’s decision making can improve or reduce their chances of winning, Pai Gow also adds just the right amount of random luck to make it an action packed experience. The 32 tiles used in Pai Gow can form 35,960 four tile combinations, and the scoring system involves several unique provisions, so learning how to play can take a bit of getting used to. Complicating matters even further is the fact that Pai Gow pairs are not ranked numerically, but rather by a traditional Chinese system of visual aesthetics. Nonetheless, for players who take the time to learn Pai Gow’s secrets, a very favorable game emerges, one in which 41 percent of hands wind up being pushed. The house edge in Pai Gow varies between 2.5 percent when playing the house way, and under 1 percent when playing optimally, making it one of the best bets in any casino. Played with a regular 52 card deck of playing cards, the value of cards goes from a low of ace all the way up to the high of king. The goal in rummy is to score as many points as possible on each deal by making melds so you can be the first player to reach 100 points, or whatever the agreed upon winning point total is. Players usually play a series of three or five matches to determine an overall winner. Learn more about how to play rummy quickly and easily on our gin rummy page. Of all the hybrid table games to emerge during the 1990s, none have approached the lasting popularity of Three Card Poker. A fusion of poker, blackjack, and rummy, Three Card Poker combines the basic bet-raise-fold mechanic with two tiers of additional bonus payouts based on making qualifying hands like a Mini-Royal Flush. The result is a fun-filled game that requires skill to play correctly, and a little luck to win, making it the perfect table game for casino rookies and veterans alike. You can brush up on how to play Three Card Poker in just a few minutes, and the game’s basic strategy can be summed up in a simple formula. Despite this, Three Card Poker offers players great entertainment at a decent value considering the relatively low house edge. With a fast pace, the promise of huge bonus payouts, and good odds for the player, Three Card Poker has earned its reputation as a casino game with mass appeal.